Unforgettable experiences are never far away when organizing travel in Asia through Asia Exotica. We excel in connecting travelers with the most unique encounters, whether it is a spiritual encounter, moment of natural wonder or simply enabling them to discover more of this amazing continent like never before. Our in-depth understanding and extensive knowledge of Asia allows us to venture further into the cultures found here than most destination management companies. Our level of understanding and respect has opened many doors, including the growing luxury offerings that are quite simply, staggeringly opulent. The exceptional level of service and attention to detail that many Asian countries are known for allows visitors to attain luxurious encounters at a fraction of the cost compared to their home country. Contact us now to plan your next exceptional encounter in Asia. Enjoying the variety and subtlety of Vietnamese cuisine in a restaurant is one thing, learning to cook the dishes for oneself is quite another. Join our introduction to Vietnamese home cooking based on special recipes. 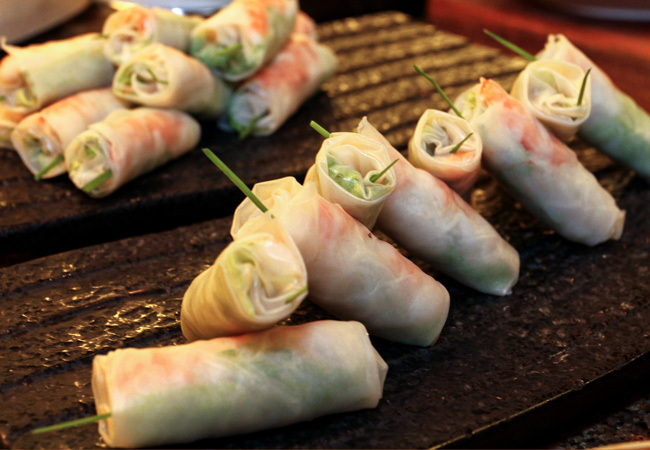 Relax in a friendly, informal atmosphere and enjoy lunch in a quiet corner of Hanoi. We depart from Hanoi in the morning and head to Van Giang Village’s morning market. From the market we then drive to a temple along the river banks before heading back to the village of Van Giang to explore the 150 year old home of Mr An. At 65 years old he has one of the most impressive Bonsai collections in the district. The family then provide a demonstration on how to prepare spring rolls, fish sauce and cut “chung” cake by from the northern regions of Vietnam. At the end of the morning we all sit down to a traditional Vietnamese family style lunch. We transfer from your hotel in the evening and make our way to an exceptional location, the Heritage House, situated on the point of the peninsular in Luang Prabang. It was classified in the World Heritage List in 1995 by UNESCO. This evening a special welcoming treat awaits as you are greeted to Luang Prabang with a traditional Baci ceremony. The Baci ceremony is performed in celebration of an important event such as weddings and births or for welcoming guests, and is a means of expressing good will and good luck to others. 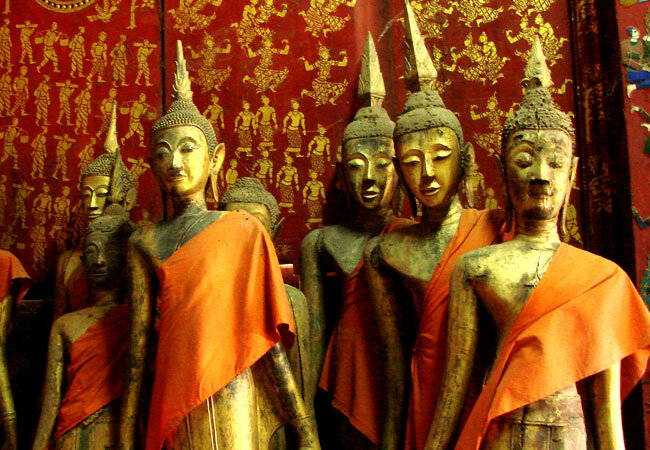 Lao people believe that each person has 32 spirits which constitute their spiritual essence, and the Baci is a ritual used to call back any escaped spirits to the body. Receive blessings of good luck as the locals wrap bracelets around your wrists and recite traditional chants in this timeless cultural tradition. 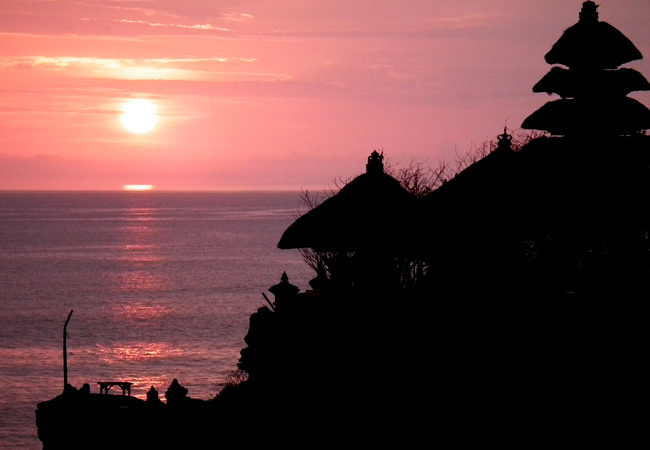 This glorious sunset outing to the southwestern tip of Bali is always fodly remembered by guests. We visit Uluwatu Temple at perched on top of a rocky cliff 250 feet above the sea just as the sun starts to set. The temple was built in the 11th century and is a beautiful sight to behold. Watch the spectacular sunset overlooking the Indian Ocean and enjoy the magical atmosphere at this time. We also witness a traditional Kecak Dance performance, well-known as a “monkey dance” that lights up your night. Guests are then driven to Jimbaran Beach for dinner or return to the hotel.